You might have caught our spoof in Forbes on why SMBs should steer clear of social media. But, all sarcasm aside, there are a few things that you can do to make your social media marketing more effective. Social media is a big deal for a small business! Now only will 30% of your customers switch to another brand if they don’t hear back from you but 36% of them will publically shame you in the process! It is one of the least expensive ways to market effectively to your exact client personas and it provides you the most bang for the buck. And, how can you be effective with your time? In this article, we are going to cover the most important steps to managing your social media presence. Find out how to grow your customer and your fan base. After all, 74% of consumers use social media to guide their purchasing decisions. Although it may be tempting to sign up for all the major social media channels, it won’t be effective. Choose the channel that your client base is most likely to be using. Take a look at your client personas to help determine this. For example accounting partners, although you may have clients using Pinterest, they probably aren’t looking on Pinterest for solutions to their accounting needs. But, they may take notice on Facebook. If your services focus primarily on the business license, then LinkedIn is probably the best place to start. After you have determined the best channel, then take a few minutes to make sure your profile is filled out. Make sure your profile image is uploaded and fill out the sections on your profile. Add videos featuring your services and specialty. Search for current and past clients and connect with them. Once you have connected with your current clients and associates, take a few minutes to ask for recommendations. Linkedin makes this easy with a feature specifically for recommendations. Other social platforms also allow ratings for business pages. In addition, you could post a social “Thank You” for any recognition your receive or letters you get from clients. (Be sure to keep confidential things confidential though). 84% of people give as much weight to online reviews as they do to a recommendation from a friend or family member. That’s powerful! Reviews build both trust and authority. Most users expect a response within 4 hours, but most brands take up to 10 hours to respond. Even worse, many brands don’t respond at all. Only 11% of people get a response back from a brand. Even if you are getting back negative feedback, social is a great way to engage with your clients. If you aren’t on social, or you choose to ignore negative posts, it appears that you are out of touch with your clients. A thoughtful response correcting a wrong can create a positive experience for all who read it. So, set your notifications to alert you when your brand is mentioned and take a little time to monitor your responses throughout the day. Understanding your client is fundamental. Understand what they are passionate about. What makes them love your services? What problems do they face and how do you solve those problems? Then, use that knowledge to make your posts powerful and meaningful to your clients. If you focus on business clients, then writing about personal taxes isn’t the best fit for your client base. But, writing about the financial questions and problems that your clients face is a great way to go. When you write be aware of what hashtags are applicable to your clients and use them. This will help to attract more of the same types of clients. We’ve written about this before, but using classic content in different media will make it a lot easier to keep your content flowing. First, take a popular article or common questions that you are asked. Write about it. Then, record a 2-minute video of you explaining the topic. Create a simple infographic about it on Canva. You now have 3 different pieces of media that you can use to answer the question. Each type of media will appeal to different learning types. This makes it easy to have enough content to stay active on social media. 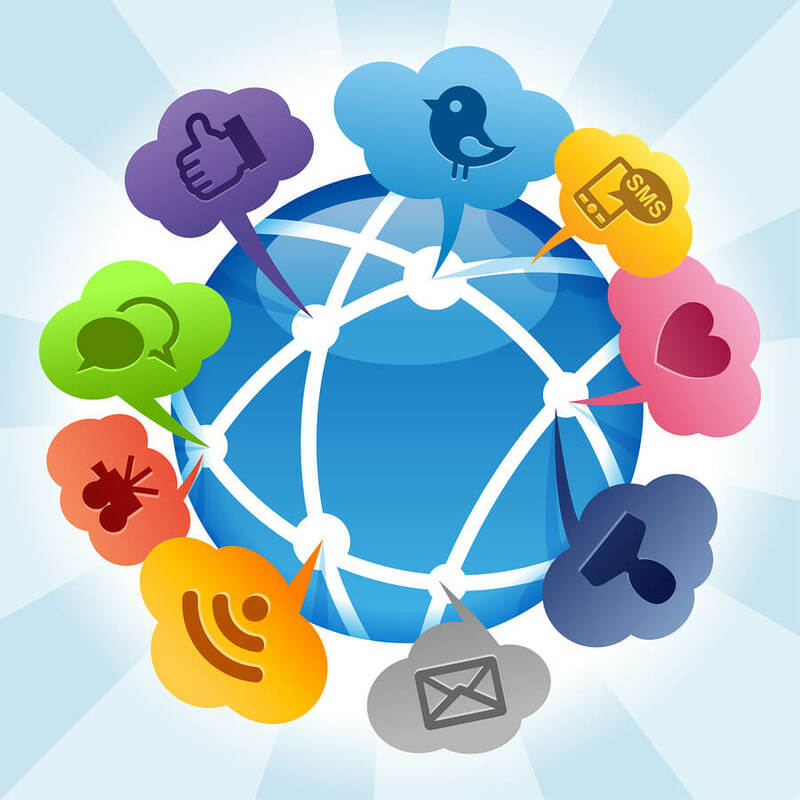 Social media can be intimidating for many SMBs. However, social media done right provides some of the highest ROI of any marketing activity. Now you know the basics and are ready to get started. What social media channel do you use? Have I missed any critical steps I should have included?